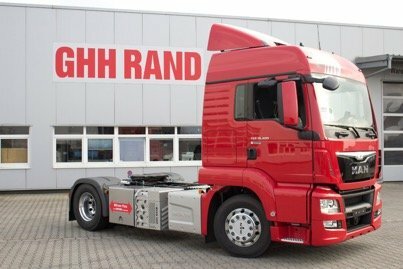 GHH Rand, one of the biggest European manufacturers specializing in compressed air solutions for the unloading of dry bulk material from road tanker trucks and a brand of Ingersoll Rand, will welcome visitors at the booth E84, in Hall 25 of the IAA Commercial Vehicles Show in Hannover, Germany, from the 20 to the 27 of September 2018. GHH Rand will showcase customized solutions for the unloading of silo and tank vehicles including truck unloading compressor solutions for dry and liquid bulk. Visitors will learn how GHH Rand together with partner network builds on over six decades of experienceas a global leader for reliability and quality in the manufacture of rotary screw compressors.